Can You Sue for Injuries from Electric Shock? - Crooks, Low & Connell, S.C.
Each year, at least 70 people in the United States are killed by electrocution due to faulty consumer products. The majority of these victims were adults aged 40 to 59 years old. Electrocution is also one of the most common workplace injuries. In fact, about nine percent of all deadly workplace accidents involve electrocution. If you’ve been harmed by an electric shock, you may be able to sue for injuries and receive the compensation you deserve. Was Your Shock Injury the Result of Negligence? Duty. You’ll need to prove that the negligent party owed you a duty to use reasonable care with electric equipment, wiring, and safeguards or warnings provided with regard to the same. Breach. The negligent party breached his or her legal duty of care by failing to act responsibly with the electric equipment, wiring, safeguards or warnings in question. Damages. Your injuries are compensable. In addition to proving these four elements of negligence, you’ll also need to provide an accurate estimate of the cost of your injuries. 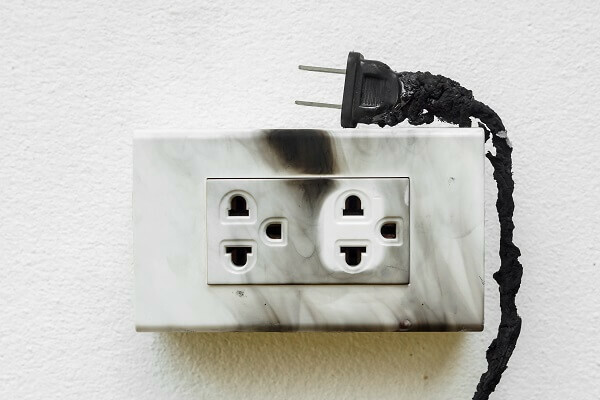 If your electric shock was the fault of the owner of the property on which you suffered the injury, there are three main avenues to sue that property owner for negligence. Premises liability. This liability will apply only if the property owner knew, or should have known, about the dangerous conditions that caused your injury. Negligent training or supervision. If your injury was a result of improper training or supervision of others, you may have a claim for negligent training or supervision. Vicarious liability. If your shock injuries were the result of your own actions, but you carried out those actions under the direction of someone else, the person who directed your actions may be held liable vicariously. If you sustained electric shock injuries on the job, on your employer’s premises (in other words, not on a premises owned or controlled by a third party), the exclusive remedy provision of the worker’s compensation statutes will require you to seek your remedy in the worker’s compensation realm. However, if any party other than your employer had any part in causing your injuries, you may be able to bring a separate lawsuit against that party in addition to your worker’s compensation claim. detrimental. Always consult one of our experienced attorneys for competent, current, and accurate legal advice. Electric shock can be a devastating injury whether it happens at work or at home. In many cases, you may be able to get compensation to help pay for your damages and losses. An experienced attorney at Crooks, Low & Connell, S.C. can make sure the right person is held accountable for your injuries.